In the fourth volume of Scientia et Humanitas, I am excited to report a number of editorial changes that continue to add to our journal’s prestige. The continually increasing volume of submissions from both undergraduate and graduate students across campus prompted our adoption of a faculty review board. I would like to thank Dr. David Urban, Dr. David Foote, Dr. Jane Marcellus, Dr. Janis Brickey, Dr. John Vile, Dr. Amy Sayward, Dr. Philip Phillips, Dr. Kaylene Gebert, and Dr. Robert Sieg for volunteering to serve on our board and ensure the accuracy of our students’ published research. Two award-winning essays open this volume. Dennis Wise, a PhD candidate in English and winner of the Deans’ Distinguished Essay Award, studies Spenser’s A View of the State of Ireland through a Machiavellian lens to establish Spenser’s acceptance of Machiavellian political philosophy. Following Wise’s article, Ellen Goertzen also receives the Dean’s award for her study of the impact of deworming treatments on intestinal parasite load in equines from Middle Tennessee, a paper she wrote while an undergraduate animal science major at MTSU. Sarah Gray-Panesi’s examination of Milton’s influence on Ann Radcliffe’s Gothic Fiction follows Wise’s and Goertzen’s essays, and received honorable mention for the 2013-14 William R. Wolfe Graduate Writing Award. The humanities continue to be well represented in this year’s issue. In addition to Wise’s and Gray-Panesi’s projects, Sarah Rivas, a late stage English Master’s degree candidate, explores the character of Marmee in Louisa May Alcott’s Little Women to unearth messages concerning womanhood and femininity in Alcott’s novel. Luke Judkins, an undergraduate English and Pyschology major, studies the psychological implications of regret in Robert Frost’s “The Road Not Taken.” Rounding out the Humanities for this issue, English PhD candidate Cori Mathis compares Baz Luhrman’s film adaptation of Shakespeare’s Romeo and Juliet to discover how Luhrman explores gender concerns addressed in Shakespeare’s original play. The sciences are represented by two projects in this issue in addition to Goertzen’s study. Holly Plemons, a Master’s candidate in Education, offers a literature review of sources examining the link between cardiovascular disease and periodontal disease. Joseph Cooper, who recently received his Master’s degree in Aviation Administration, examines the development of faith-based missionary aviation and its ability to increase the range and effectiveness of missionary efforts in remote locations. As my second (and final) year with the journal draws to a close, I would like to thank all of those members of MTSU’s faculty and staff who have helped us succeed by promoting our journal to their students. The level of scholarship presented for our consideration continues to impress, and I am forever grateful to my editorial team for their hard work and dedication. Many thanks are due to my fellow editors, reviewers, proofreaders, and advisors, and especially to the University Honors College for sponsoring this publication. 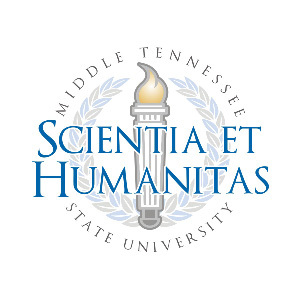 To the students of MTSU, thank you for your contributions, and I hope you enjoy the fourth issue of Scientia et Humanitas.